November is a popular time for reunions. Folks come back to their home for the long Thanksgiving weekend. If you’re going to your reunion, we’ve compiled some tips on how to prepare to reacquaint yourself with old classmates. Recruit some friends beforehand. Contact old classmates and make sure they know that you want them to come. Don’t assume that the reunion committee found everyone. If you want to see an old friend, connect with them and let them know that you want them there. Resume old friendships without blaming each other for not staying in touch. You’re both guilty of not connecting so just take it off the table. It’ll quickly ease the tension and you can quickly retrace the steps of your time together. Take your spouse! Your spouse can be a crutch and help to cue you in to old memories. If you don’t remember a fellow graduate, simply introduce your spouse to an old classmate and have your significant other take over the conversation. They can comfortably ask, “so how do you know my other half?” Now you can reconnect the dots. Then again, if you know that dozens and dozens of people will be there that you’re aching to spend time with, leave your spouse home. There’s no need for them to come to be a spectator. Ask old classmates how they’re doing. Don’t ask them what they’re doing. Don’t force them to defend their life decisions or to try to top what you’re doing. This is a reunion not a competition. Buy yourself something nice to wear. Find something that makes you feel attractive and helps you feel confident. Try to make one connection that you can keep. Since you’re going to your reunion, you might as well find at least one person to stay in touch with. You have shared experiences with everyone there, try to renew at least one relationship. Don’t be afraid to be a little bit mysterious and create some intrigue about how you’ve matured! There’s no need to tell everyone you meet about every single detail of your life. Sometimes sharing less is better. Drink responsibly, it seems obvious, but there always seems to be a few folks that have too much. Being drunk can leave a bad impression, and you may need to wait 10 years to repair that sentiment. While lots of classmates will turn to alcohol to help alleviate the social awkwardness, don’t go overboard. No matter how the night goes DON’T DRINK & DRIVE!! Perhaps you can afford a little luxury now that you’re older and enjoying life. So it might smart to get some old friends together to hire a limo. If you call us and mention that you’re renting for a reunion we’ll even through in a bottle of champagne for a reunification toast. A limo is a lot less expensive than a drunk driving arrest and safer than trying to get home after ‘just a couple’ of drinks. Even if you don’t hire Le Limo, please either assign a designated driver, have a family member pick you up or call a cab. There’s nothing embarrassing about being safe. Please have fun but be careful as you celebrate. Call me asap. I need a price now. Make sure to include your phone number below. Your service was efficient, curteous and professional. Thank you for making our wedding day a special and memorable event. The luxury coach was spotless and very comfortable. Stan, our driver was very accommodating and professional. Thanks for making our night out for our Mom's 60th birthday a complete success. I just wanted to drop you a quick note to let you know how great Le Limo was for our wedding. Everything was flawless and could not have been better. Thank you so much for helping to make our wedding run smoothly! You were very flexible, accommodating, and positive. The limo was in great shape too! The logistics and event went forth without issue and the planning was solid. I think the drivers at LeLimo were especially personable and helpful (as well as adaptable as needed). We appreciate having a solid team ...Thank you and I look forward to working with you again soon. 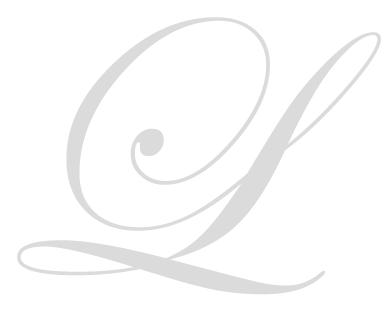 5 stars We used Le Limo for our wedding last month and were very pleased with the service. The booking process was smooth and we had great service from Phyllis. When the limos arrived they were not only on-time, but they were early! The cars were clean and the drivers were friendly. We would recommend using Le Limo. Our experience with Le Limo on our wedding day was truly exceptional and deserving of a 5 star rating! Our driver Allan was punctual and friendly. The trolley was immaculate, fully stocked, and very comfortable. Le Limo went above and beyond our expectations! Thank you! Thank you again for arranging our transportation for our wedding. We had a wonderful day, and the driver was excellent! We were extremely impressed with the quality of the van, and were so happy everything came together so well. I will be sure to write a review online, as that is how I found you, and I would be happy to recommend your company to any of my friends and family.